We install Class I, II and III receiver, 5th wheel and gooseneck hitches including electric brake controllers, wiring (hitch and trailer) and hitch accessories for most cars and trucks. We also install bicycle racks, motorcycle racks and RV accessories. 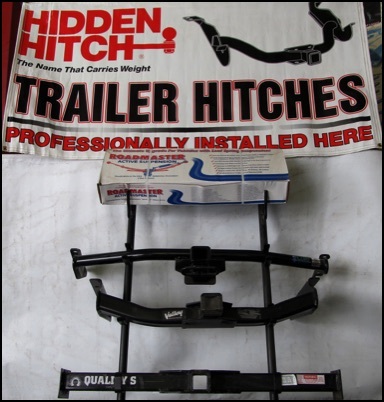 Product lines offered include Curt, Reese, Hidden Hitch, B&W, Valley, Demco, Roadmaster, and Blue OX.